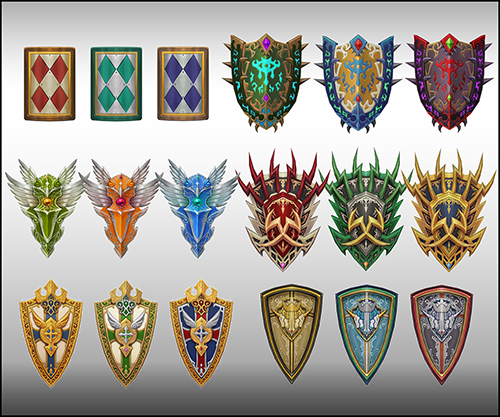 More shields in this second set ! 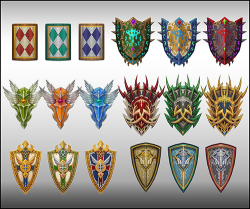 Contains 6 different shields with 3 variants for each. More weapons in the same graphic style here. You can follow me on Twitter for HD Previews, future content and more ! Support me on Patreon and get every files in a higher quality and resolution.